The Republic of Palau consists of eight principal islands and more than 250 smaller ones lying southeast of the Philippines. Palau diving is plentiful with abundant marine life in crystal clear water and is a paradise for photographers and divers that demand the best dive spots. Palau offers a great variety of different kinds of diving from beginners to advanced divers. Blue holes, huge caverns, spectacular walls and a huge variety of rare marine species are easily accessible in clear water with visibility exceeding 50 meters (200 ft). There are World War II wrecks, large pelagic predators, sharks, turtles, dolphins and land marine lakes that are home to rare jelly fish, anemones and soft corals. 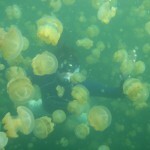 One of Palau’s attractions is Jellyfish Lake. 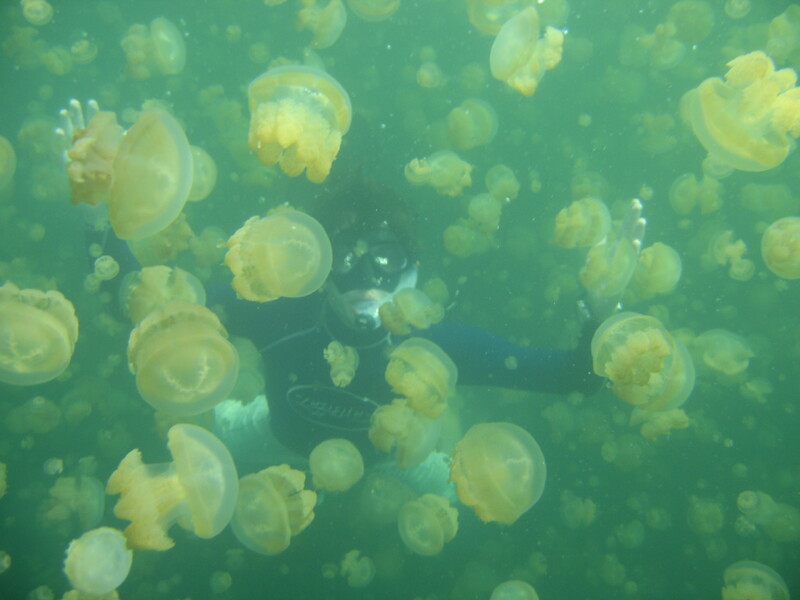 A unique marine lake filled with thousands of non poisonous jellyfish that is an unforgettable experience to swim in. Palau offers you the ability to do a strong current drift dive, a wreck dive, and a cave dive all in the same day. Any diver will find something that excites them. Another reason for Palau being such a superb dive location is that it has some of the most uniform year round temperatures in the world. The average air temperature is 21°C (70°F) to 27°C (80°F) and in the water the temperature is about 32°C (90°F) all year round. It is possible to dive all year round with the average visibility being app 50 meters (165 to 200 feet). Sea Tel Aviv would love to help you organize your trip to this diver’s haven. For more information click here to contact us.